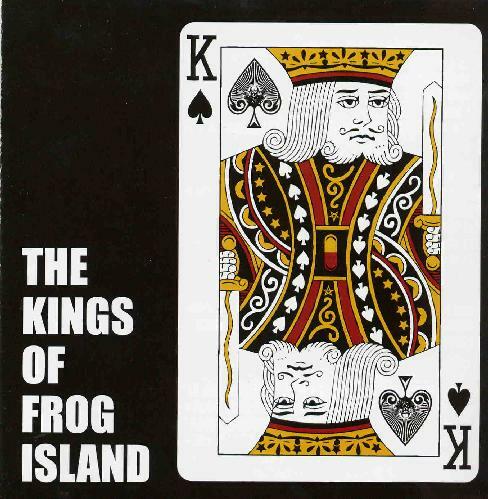 The main man from Josiah (Matt) is back with his second Kings of Frog Island record. The basic tracks were recorded in one day and then the band spent some months turning this into a special psychedelic rock record. It is quite a bit different from the first one. More bass heavy, dark, experimental. Last Train is some strange spoken word stuff that leads into Hallucination. The sound production is quite strange during this track with the vocal panned hard to the left and guitar hard right. Quite stoned. Welcome to the Void is also downtuned and stoned and has a great guitar solo. The Watcher (not a cover of the Hawkwind/Motorhead song) is more relaxed and a sort of dark bluesy love song with some slide guitar. It reminds me a bit of Rosetta West. Joanne Marie is another slow blues stoned groove track. Laid is a short slow track again with some slide guitar. Satanica continues out of Laid with this dark bluesy slide guitar. Witching Hour is a strange track with a very special bass sound but the track does not develop much. AmphibiaAmpibia Rising ends the 47 minute CD and is by far the longest track at 12 minutes. The sound is not totally different as well, more like the first track with a clean guitar and bass sound. It is a really nice guitar line but the track just fades into a synth drone after 3 or so minutes and then Matt comes back and plays some acoustic guitar and it sounds like some violin as well. Around 6½ minutes more sounds enter into the soundscape underneath and over the synth drone. It is sonically like you enter into a different world and a strange track. Cool stuff.